I was in Dumbarton yesterday, enjoying a welcome break from the muggy weather at ground level by having a bracing climb up Dumbarton Rock (and putting my Historic Scotland membership to good use too, since I got in free). I was trying to figure out when I’d last been there, guessing about 8 – 10 years ago. Once I got home, a bit of ferreting around on the old computer – never thow anything away! – came up trumps, with what must have been pictures take with one of my very first digital cameras (maximum resolution 1024×768! ), back in late 2002. I thought it might be interesting to compare one of the views in particular, of the old distillery site… still pretty much intact in 2002, now a barren wasteland, apart from the one remaining tall still building, looking very sorry for itself. It is probably a somewhat unusual position for urban designers to find themselves in, having persuaded a developer to retain unlisted but important buildings, to then have the council wish them to be demolished. Unfortunately, this is undated, so I’m not sure how recent it is. Does anyone know the current state of play regarding the site ? Oddly, I can’t find details of the above building on the Buildings At Risk register, but when searching for it, I did find this, the lovely 30s Mountblow Sports Pavilion, which we’d spotted from the train, now sadly derelict. A full gallery of pictures from the Dumbarton trip can be found on Flickr here. Moving home involves updating a lot of information with a lot of different companies. Some make things easy. Some make things as complicated as possible. Some are just astonishingly inept. At least one is clearly downright evil. So my Changing Your Information WIth Different Companies Awards are as follows…. Press 1 if you want to do a thing, unless you also want to do another thing, in which case, press x, where x = y + z – the number you first thought of + the number of minutes you suspect you’re going to end up listening to recorded messages telling you how much easier all of this would be to do on the website. You’ve been cut off. Do Not Pass Go, Do Not Get a Telephone Line, Do Not Collect £200, Go Directly to Starting the Entire Painful Progress From the Beginnning Again. Astonishingly refreshing – no phone tree, no waiting in a queue, just someone answering the phone directly when you ring the number. I was so shocked to be speaking to a human being so quickly I nearly spilled my gin & tonic. Constantly engaged. No idea how complex the phone tree is once you get through. Gave up. A certain credit card company I phoned up to change my address; I was told that I would have to send original copies of a utility bill *and* a bank statement featuring the new address. Asked why it was this complicated; was told they couldn’t change my address over the phone, apparently because I’d not used the card for a while. Explained I’d not used the card for a while because every time I tried to use it, the transaction was declined. Right. So why is that? My balance is zero. There’s nothing outstanding. And you didn’t think to mention this earlier in the conversation ? What kind of security breach? Right. I had wondered why I hadn’t had a statement in the last 6 months or so. In fact, I phoned you up some months ago to ask why I hadn’t had a statement for a while, and you claimed that they must have got lost in the post. Did you not think to get in touch with me – you have my email address, you have my phone number – to tell me there was a problem? So how was I supposed to know? I’ve logged into the website on a number of occaisons, and there’s been nothing there to say there is a problem with the card or the account. Yes, I know – but perhaps that would be a good mechanism through which to tell me you think there is a security breach on the account ? Hmm. Perhaps I’ll just cancel the card, since you’re a bunch of incompetent useless idiots. Entirely unrelated to the current house-moving situation, but worth repeating. My Dad died a few years ago. Most of the companies we dealt with in the immediate aftermath of that made things as easy and straightforward as possible to help us deal with the many complicated logistics at that difficult time. The Banks were, to my surprise, the most helpful, making the process really quite smooth. Most companies handled things quite well, to be honest. BT made me phone up pretending to be my Dad, to let me transfer the account into my Mum’s name, because every other option was just too complicated, but that’s another story. A certain credit card company – CAPITAL ONE – made things as awkward – and painful – as they possibly could. No-one in my family will ever give them our custom again, and I urge anyone else that reads this to do the same. My father had a Capital One credit card. After he died, my mother and I wrote to them, sending back his credit card cut up into pieces, and INCLUDING A COPY OF THE DEATH CERTIFICATE, asking them to close the account. They then wrote back, not to us, but in a letter addressed directly to my late father, including AN ENTIRELY NEW CREDIT CARD in his name, and letting him know that they’d received a request to close the account, but that to do that, they would require him to phone up their customer services – in person – to make any alterations to his account. Meanwhile, his new credit card was enclosed, and he could start using that immediately. We wrote to them again, including another copy of the death certificate, explaining why this would not be possible, what with him being somewhat dead. Plus including the replacement card, cut up again. We eventually received another letter from them, saying they would be prepared to consider closing the account, if we sent them details of all of his financial affairs and bank accounts. We wrote back saying, no, we will not. The credit card account he had with you is fully paid up, so there is no need for you to have any details about other financial information, please just close the account. Oh, and if you could please return the copy of the death certificate by recorded delivery, as they are quite expensive, we would be very grateful. Eventually, several weeks later, a letter turned up, stating that the account had been closed, and ignoring our other comments. We wrote back, asking what had happened to the death certificate, and asking again for some comments from their customer service departments on whether or not this is how they generally treated the familes of customers that were deceased. Eventually, the death certificate arrived in the ordinary post, with no covering letter, apology, or anything else. We wrote, again, to Capital One’s Customer Services address; we wrote to their corporate address, with letters addressed to the Chief Executive. No one ever bothered to get back to us responding to our concerns about the way we were treated. Which is why, whenever anyone I know, or indeed randomly overhear, mentions getting a credit card, I immediately warn them off getting any sort of Capital One card. “No, of course you can’t speak to the people at BT Wholesale that are dealing with the problem; they don’t talk to customers” ! Sigh. Why is nothing ever simple ? Nearly a month into our new house, and we still don’t have broadband. It was supposed to be activated on Monday 20th June – two full weeks ago – but 14 days later, we’re still phoning BT every other day, and being repeatedly assured that it will *definitely* be working by this tomorrow, we promise. Oh this engineer will *definitely* be able to fix it, honest. Oh, and we’ll be in touch directly if there’s any change on the system. Two engineer appointments, more phone calls than I care to remember, several different call centres (on more than one continent), and some buck-passing between BT Retail and BT Wholesale, this has it all. Monday 20th June – the Day Of Activation. Thursday 23rd June – the (new) Day Of Activation. Receive an email at 10.06am from BT – “Congratulations – your broadband is now activated and ready to use!”. Come home from work, and try it. It’s not working. Try a different modem/router, try different phone socket, try a different microfilter, try turning it on and back off again. Spend more time than is healthy watching a small green light blinking slowly and entirely failing to go solidly on. Decide to wait till next day, as per BT suggestions, to see if it activates overnight. Attempt to phone BT to report that the line is still not active. Phone the Moving House/BB Activation team, as this is who I have been dealing with up till this point. Told their system shows the line as active, so this is not an activation problem, and I need to go through the technical team. Transferred to technical team, and prompty cut off. Phone back technical number, and after navigating the maze of unhelpful information, pre-recorded unskippable messages telling you to turn your router on and off again, and to try looking at the BT Website for lots of helpful information on how to make your internet connection work, finally get through to a human being. Explain problem, they do a line check, which shows a fault (at BT Retail’s servers). 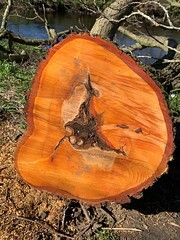 Fault is logged, told an engineer will ring me ‘tomorrow morning between 9.30 and 10.00 to discuss the problem’. At 11.30am, with no-one having being in touch, phoned again. Was told no engineer was supposed to be getting in touch with me, as they don’t do that. Did I want to book one to look at the problem? The first available slot was now apparently Tuesday 28th between 1pm-6pm. After I moaned about this a bit on Twitter, was first followd by a @BTCare account, and then phoned by them, who assured me that whatever the issue, the engineer would definitely be able to fix the problem on Tuesday afternoon. Come Weds lunchtime, with no obvious change in the status of the line (and the online status checker not having updated, plus there being no mention of a more general problem with the exchange on the service status page), phoned BT again. Just wanted to get update to how long to expect till network card was replaced; had to speak to three different people (front line support, a supervisor after I was obviously getting slighty cross being told to reboot my router yet again, and was finally transferred to a ‘technical specialist’, who was at last (and unlike everyone else I’d spoken to) able to bring up details of my actual fault report. This person promised to speak to BT Wholesale to find out status, and get back to me. She did ring back, within 30 minutes, but was unable to give me any other information except that the problem was with BT Wholesale Diagnostics, they hadn’t fixed it yet, but to give it another 24 hours and it would spring to life. Also told that there was ‘no need to keep ringing us for an update, we’ll get in touch with you as soon as anything changes with the status‘. Suspiciously, at the same time I finished this call with BT Technical, (around 13.25) the online fault checker was updated to claim the problem had been ‘cleared’. It wasn’t. – phoned in am to report online fault checker now said problem was resolved, but nobody had contacted us and BB still not working. Technical team confirmed there was still a fault on the line; said they would get fault reopened but would need to check with BT Wholesale about its status, would phone me back in 2 hours. 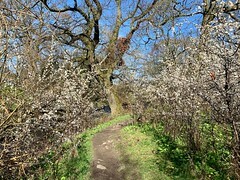 – phoned back by ‘Concern team’ (?!) to say that BT Wholesale reported that there were no problems at the exchange, and that an engineer would have to be sent to property. Some confusion here about existing fault; was first told that BT Wholesale had not attended to it, then that BT Wholesale had indeed attended to it but had found nothing wrong, before finally being told that BT Wholesale had attended to it and replaced something in the exchange (presumably the faulty network card mentioned by the BT engineer on Tuesday). – that phone call was disconnected; was not called back, so called back myself and had to go through the entire phone tree again. Technical team said that there was no record of my earlier phone call, that there was no record of BT Wholesale giving an update on the complaint, and that they would need to check with BT Wholesale and phone me back in about 2 hours. After explaining that I had already waited two hours once only to be cut off, was put on hold so staff member could call BT Wholesale himself. – technical staff member confirmed that BT Wholesale had attended problem, replaced something at the exchange, and said everything was working as far as they could tell. Went through basic diagnostic checks of home equipment once again (rebooting router, using test socket etc. ), was finally told that an engineer would have to be sent to the property, but that appointment could not be made before Monday 4th. – was told that the reason online fault check had changed status to ‘fixed’ was because of BT Wholesale replacing a part. BT clearly assuming that problem was therefore fixed and needed no further attention, despite a line check on their part still showing a problem when I phoned. Frustrating to go through basic checks *again*, to have to explain situation from scratch to several different people, and getting the distinct impression that nobody was aware of status of problem, length of problem, or location of problem. Took another morning off work to wait in for Engineer. Phoned promptly by engineer at 8.30am, on way to exchange to investigate problem. Engineer called back later to say there’s apparently a problem with the network card at exchange, which needs to be replaced by BT Wholesale, which should be done today, after which it will spring to life. Point out (slightly grumpily) this is *exactly* the same as the previous engineer said last Tuesday, and mentioned the multiple claims by BT Technical people on phone that card had been replaced and that BT Wholesale report no problems. Engineer says his notes say Wholesale did not in fact replace the card last week, but just reset it the last time, but that they will definitely replace it today. Checking the online fault status indicator after this call, the fault was apparently set to ‘Cleared’ again on Sun 3 July at 1357, despite nothing obviously happening yesterday. We have repeatedly been told by BT Technical staff that they would ring us in the event of any changes in status to check if things were working or not; this has never happened. Clearly the fault is not ‘cleared’ as the Engineer today found the same problem with the network card as last week. A Happy Ending … ? @gordonbarr I’ve called the engineers & they have advised that they are going to change the network card today. I await with interest to see if anything actually happens, or if we have to go round the merry-go-round of passing the buck, claiming to not have any record of the problem, and getting us to reboot the fricking router once again. 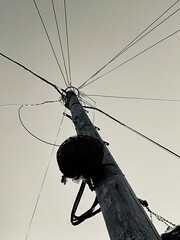 Update: 15:45pm – well crikey – THERE BE INTERNET HERE AT LAST !! 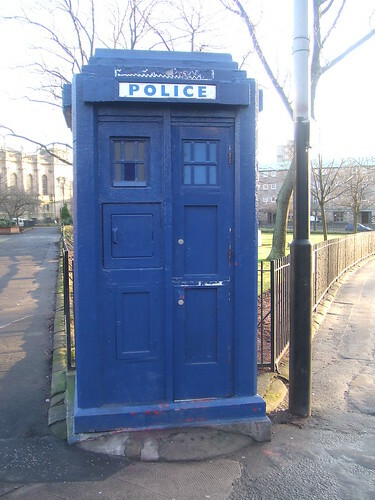 It’s quite appropriate one of my recent blog posts was about Glasgow’s TARDIS-style police boxes, because this one is about a new way I’ve found to travel in time. The oddly named MakkaMappa is an app for the iPhone (and soon Android) that lets you upload abitrary maps or diagrams – and even not especially geographically sensible maps – to their website, geo-reference them, and then use them in real life via your phone’s GPS. Sound complicated? Not really – here’s a simple example. The London Underground map is notoriously non-geographic, and yet you can use it to navigate round the city. I started to wonder what you could do with other types of input, and uploaded a couple of historic old (and out of copyright) maps I had lying around. While wandering around town earlier this evening, I was standing outside Glasgow’s fantastic Central Station, and fired up MakkaMappa. If you want to try this out for yourself – and you should! – the 1820s and 1890s maps are available to download through MakkaMappa here – the light version is free to download for up to a couple of maps; the full version is just £1.19 in the App Store at the moment, and well worth it in my opinion. You can either choose to upload your own maps or diagrams, or just make use of the ones that other people have already uploaded, from the Glasgow Uni campus map, to snowboarding details in the USA. It’s a fantastic little program, and the possibilities of how it could be used to explore the past, present and future of any city – or any spaces that can be mapped – are endless…. Both my grandfathers have links to shipbuilding on the Clyde; my maternal grandfather worked on the QE2, and many other ships; his speciality was working on propellar shafts. My paternal grandfather was a clerk in the yard at Greenock. Both would have been very familiar with the Titan cranes that make up such an iconic part of the shipbuilding heritage of the river. 42 were built originally around the world, of which 40 were designed by Willaim Arrol Ltd. 27 of those were in the UK, of which (in 1988) 15 still existed, of which 7 were in Scotland. 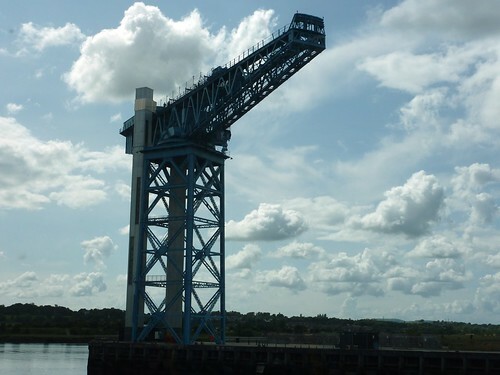 Until quite recently, there were five Titan cranes left on the Clyde; there were also two at Rosyth on the east coast. 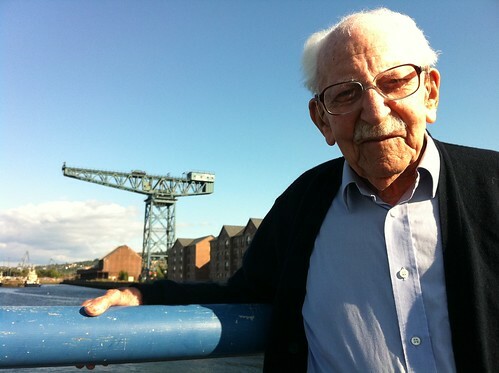 The most famous Titan; this can be seen in the background of most BBC Scotland news studio reports. There are some absolutely stunning images of the city taken from the crane at night here, by the Cycleologist. Just next to a junkyard, and itself next to a listed building of the former Diesel works, this crane is visible from the M8 as you approach Glasgow from the west. 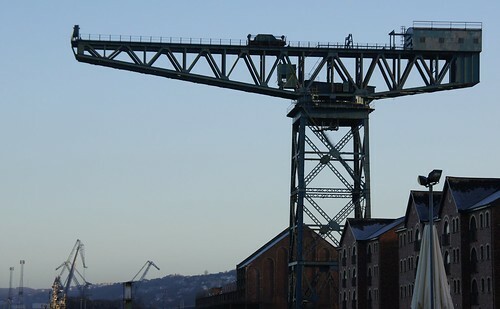 The Greenock crane is the one my grandfather climbed back when he worked in the yard. Here he is revisiting old haunts…. 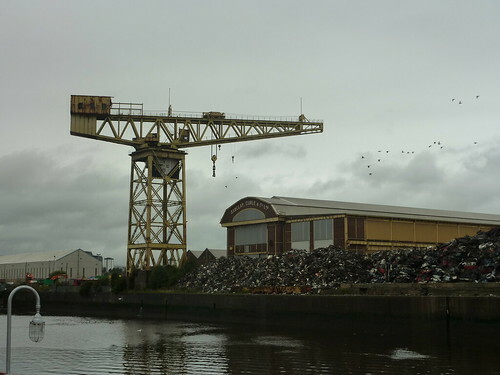 The fifth crane, at Govan, despite also being Category A listed, was demolished in 2007. Sadly, the justification was that the yard needed the space to remain economically viable, and the only option was to demolish the crane. Despite the fact a scale model of it was made, I still feel its a shame that it couldn’t have been moved or otherwise retained for display elsewhere. Pictures from its last days during demolishiion can be found here. The Rosyth cranes appear to have been demolished around 1990; a great photo of one of these cranes can be seen on the RCAHMS website here. 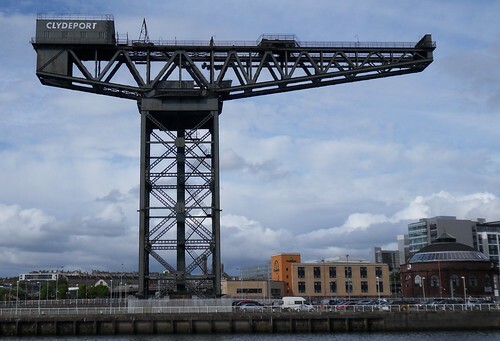 There’s something about these Titan cranes – their elegance as objects designed to do a job, but in the best possible way – that reminds me of the Forth Bridge; in some ways, they are all practical, but at the same time, they become beautiful, and well worth fighting to make sure some remain. OK, so it’s no jetpack or flying car, but if you’d told me just a few years ago that in order to give a presentation, I didn’t have to lug a laptop around, but could just use my phone (!) I think I’d have been very unconvinced. Very tempted to give my next presentation just from that ! Yep, that’s the iPhone acting as a live remote control (including showing next slide and presenter notes if present) for the presentation running on the iPad, which is in turn mirroring its screen on the tv (or projector as appropriate). It does! That’s a tiny Optoma Pico projector, so that photo above is, in theory, all I’d need to take to give a talk from now on… astonishing! I am unable to comment on rumours that I have too many gadgets. 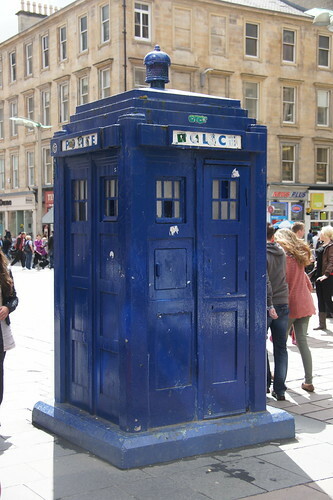 Way back in 2004 or so, while playing with this newfangled thing called ‘making a webpage’, I put together a wee photo list of all the surviving police boxes on Glasgow’s streets (I like lists; I’ve got one of those brains). Glasgow once had 323 boxes; by 1994 there were still ten remaining on the streets. In 2008, there were four. Of those, all but one were listed buildings, giving them some protection from demolition or unsympathetic alteration. So when I got an email sometime in 2008 asking for my professional (!) opinion as to whether the remaining box should also get listed status, I was delighted to be able to contribute, and it was successfully listed. All four main Glasgow boxes are now Category B listed buildings. 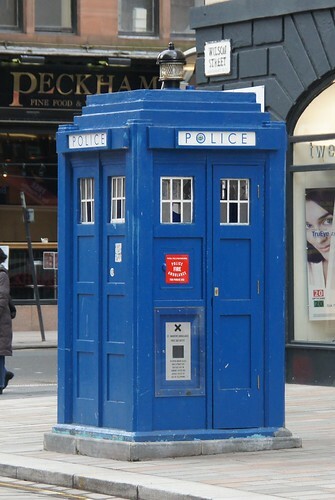 Originally, Glasgow police boxes were painted pillar-box red, rather than police blue, because they were maintained by the Post Office. 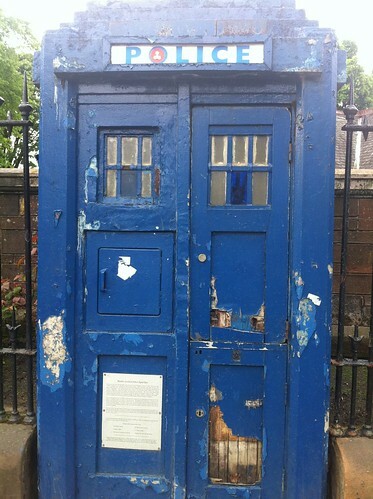 Sadly, all of the ones you can see on the street have succumed to creeping Dr Who-ism, and are now TARDIS-style blue… Ignore anything it tells you on Doctor Who, but the boxes were concrete, not wooden – only the right-hand door, the only one that opened, was made of wood. Since the initial page was put up, three of the boxes (Byres Rd, Buchanan St and Cathedral) were converted into coffee kiosks (much like many of the uniquely-styled Edinburgh boxes). I know I like a bad pun better than most, but even I found the name of ‘Coppuchino‘ a bit much. All of these have since closed however; thankfully the external alterations were pretty minimal. This box once stood on an island in the centre of the road, with rather nice cast iron railings surrounding the steps down to to some underground toilets. 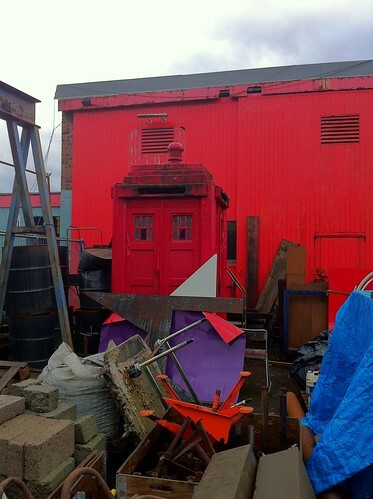 This was the last box on the street to retain its orignal red colour; in 2009 it was removed, refurbished, and repainted. The new internal illumination looked great at night, although the red sign on the telephone door looks very odd against a blue background! In 2010, the whole street area was dug up and re-surfaced; as part of this, the underground toilets were (sadly) filled in, and the box itself was moved to the side of the street. Currently, the exterior of the box looks quite good, but some of the window panels are sadly smashed. This box’s blue paint is peeling off, revealing its red-painted origins. Oddly, it’s without any form of lamp, but is otherwise in not bad nick. This box, sitting in an industrial estate in the north of the city, is awaiting a new home – and is rather wonderfully camoflaged against the red background! There were 10 boxes surviving in 1994; the whereabouts of all of them is unclear. 6 are accounted for above; Summerlee Museum also apparently has a box; and a number of Glasgow boxes have been shipped south to appear in museums and represent their southern progenitors (including one at the the Avoncroft Museum of Historic Buildings [originally from Maryhill! ], and one at Kent Police Museum). Police Boxes map – great Google map showing where original and replica boxes can be found around the UK. 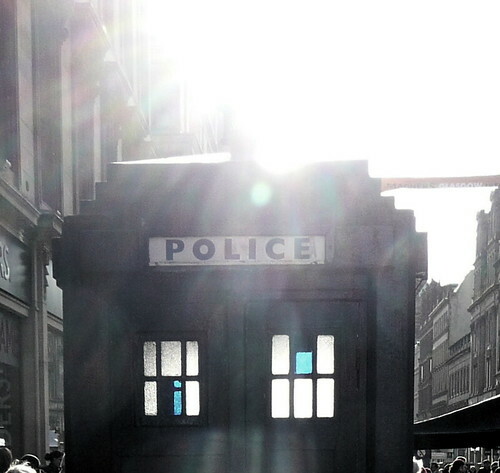 Police box history @ Mindrobber.co.uk – fantastic overview of police box history that inspired me to write this post!